Fred’s House met whilst working on a show at Darwen Library Theatre; this October we’ll be welcoming them back! Fred’s House make summery 70’s West Coast inspired folk/rock but have their own distinctively fresh sound that is very much part of now. 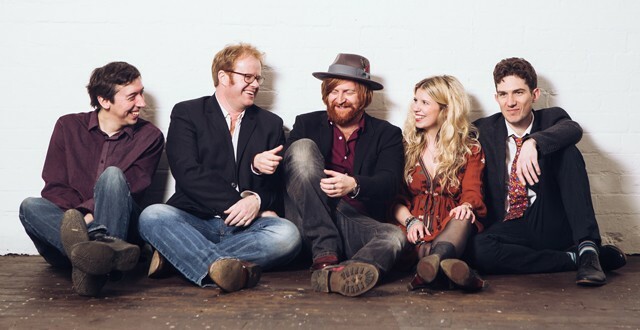 This group of musicians have the rare ability to sweep you away with their gorgeous harmonies, moving lyrics, infectious melodies and uplifting grooves. The band scooped the prestigious Syd Barrett Pride of Cambridge Award at the NMG Awards 2017 and have just toured China as part of the Nanjing International Jazz and World Music Festival. Having released their critically acclaimed second album Faultlines, extensively toured the UK and played some big festivals, their outstanding and energetic live shows are gathering them rave reviews from all corners of the globe. Fred’s House much anticipated third album due to be released in 2018. If you need a dose of the “feel-good factor”, this is the band for you!